In keeping up the tradition, the 2015 International CES has a large list of celebrities including Hollywood stars, popular music stars and DJs, sports legends and TV personalities to make appearances on behalf of various vendors in promoting innovative products and technologies and showcasing the new ways for consumers to work, play, connect and access information. Garrett McNamara, an American professional big wave surfer, was at the Body Glove Mobile booth today signing autograph. 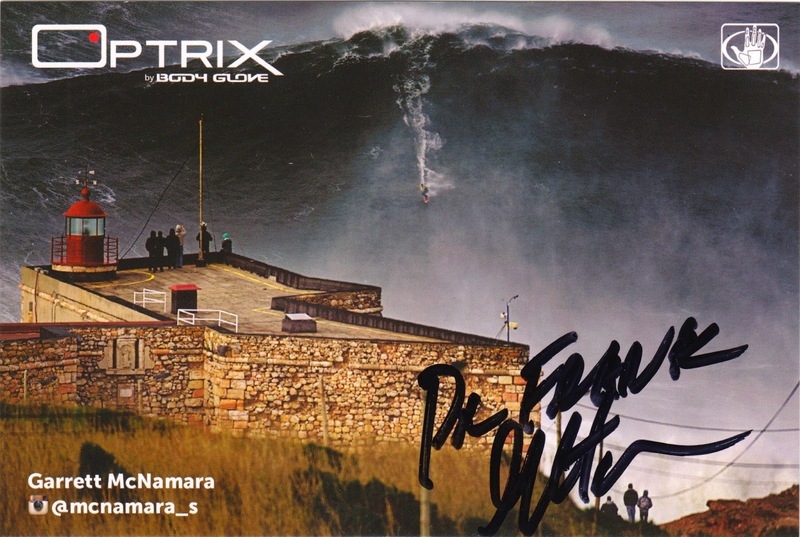 The advertising card, promoting Optrix waterproof, ultra-rugged sport cases for smart phones with optical-grade glass lenses, features Garrett breaking the world record for the largest wave ever surfed at Nazaré, Portugal on Jan 28, 2013.